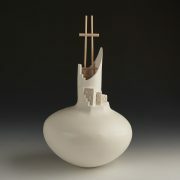 This is a Madonna and Child piece she made in 2001. It is so natural looking, facial expression, positioning of the child, etc. It is a lovely example of very traditional work. Ada Cordero Suina was born May 20, 1930 at Cochiti Pueblo, the daughter of Berina and Eluterio Cordero sister to Stephanie C. Rhoades (Snowflake Flower). Her maternal grandmother, Estefanita Herrera, was instrumental in inspiring Ada to become a potter, and her cousin, Virginia Naranjo, taught her the intricacies of pottery making. Ada is highly respected for her storyteller figurines and her nacimientos and has always been recognized as one of the premier figurine potters at Cochiti. 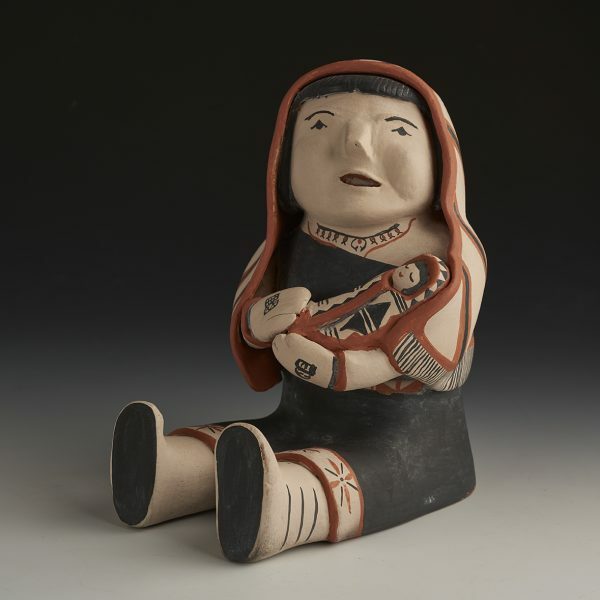 Her storyteller figurines have strong, chiseled faces and happy expressions. She still uses all-natural materials and fires the figurines outdoors in the traditional manner. 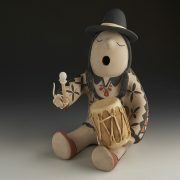 Very few potters are still making traditional storytellers.